Despite their location just outside downtown Sandpoint, the homeowners have an expansive backyard abutting Lake Pend Oreille. 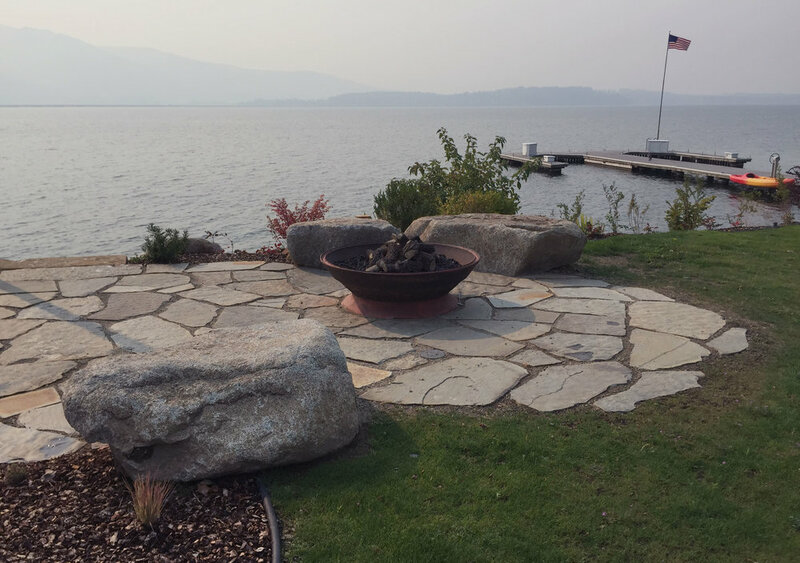 They enjoy the space, but needed a spot to gather lakeside. 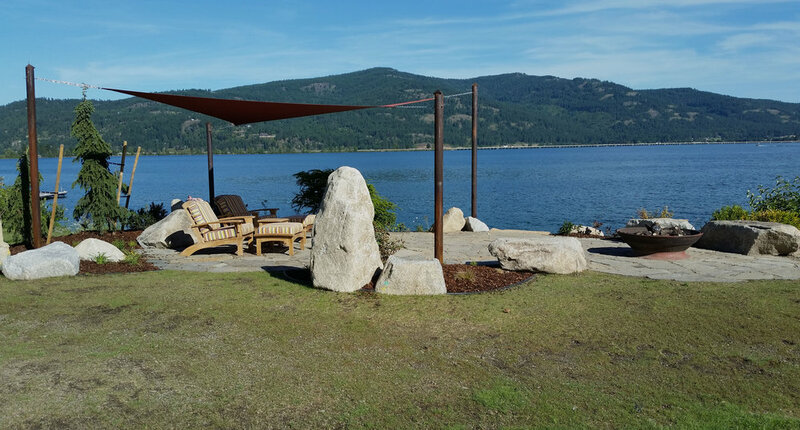 A patio with natural flagstone pavers is accented with sculptural boulders and seat rocks. 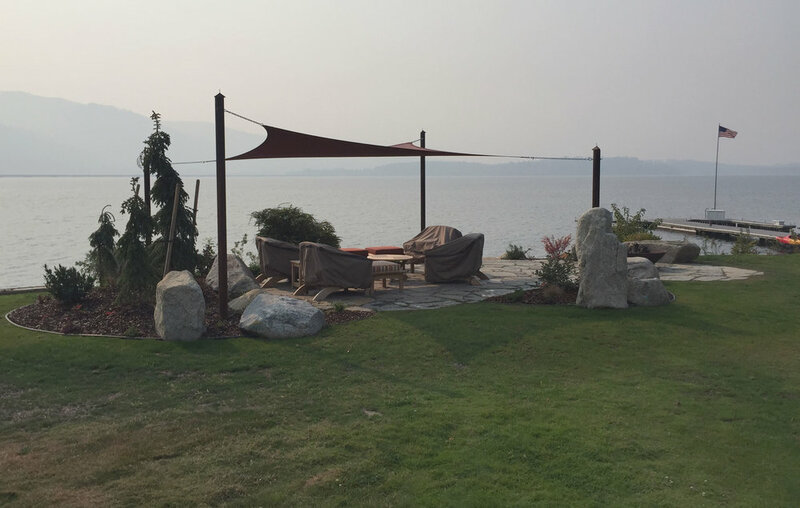 A gas fire pit and custom shade sail create a comfortable space for chilly nights and sunny days, maximizing the homeowners' use of the space.